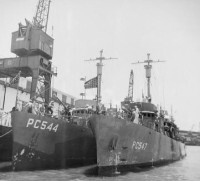 Sub Chaser Guapore - G 1, ex-USS PC 544, was built at Defoe Boat and Motor Works, Bay City, MI. 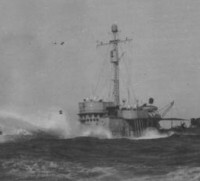 She was launched 30/Apr/42. 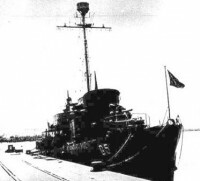 She was transferred and incorporated to the Brazilian Navy 24/Sep/42 in a ceremony held at Natal. Her first commander was Lieutenant Captain Dário Camillo Monteiro. The acquisition cost of one unit of that class was US$ 1,7 million. On 5/Oct she went on subordination of Northeast Naval Force, created that same day, and headed by Captain Alfredo Carlos Soares Dutra, and subordinated to the Commander Fourth Fleet and south Atlantic Naval Forces, Rear Adm (USN) Jonas H. Ingram. 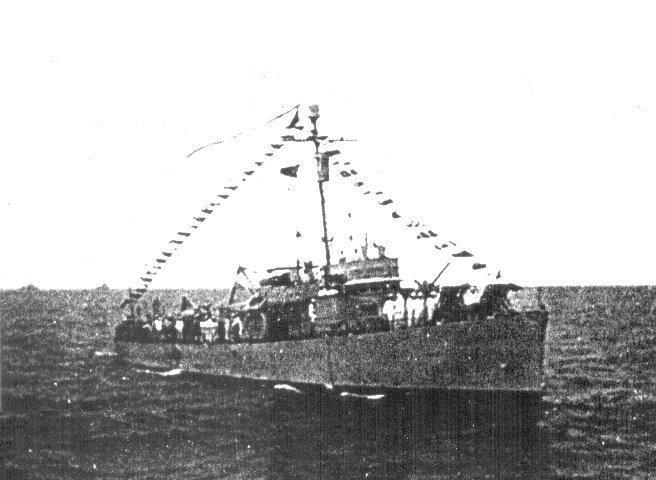 Northeast Naval Force, FNN, was originally composed by Cruisers Rio Grande do Sul, – C 11 and Bahia - C 12, Minelayers Carioca, Caravelas, Camaquã and Cabedelo and by Sub Chaser Gurupi - G 2. These force was later added by other vessels received under Lend Lease agreements, including four Italian made submarines, Tender Belmonte, and Destroyer Escorts, thus forming the Task Force 46 South Atlantic Naval Force and was only dissolved at the end of the war. 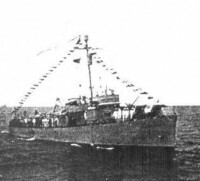 Guaporé began her operational life with Gurupi - G 2, as a training ship for the future crewmembers of that same type of vessel which were to be delivered by the USA. Above in this rare picture, one Brazilian sailor unfurls the national flag on a newly delivered Patrol Chaser in Miami.